How Do You Know You Have the Right Data for Meaningful Storytelling? Storytelling is a powerful means of connecting your foundation with grantee partners, other organizations, and the beneficiaries of your grantmaking. Stories – driven by data – engage your community emotionally, illuminate the bigger picture, and, in some cases, empower stakeholders to take on an active role within the story. 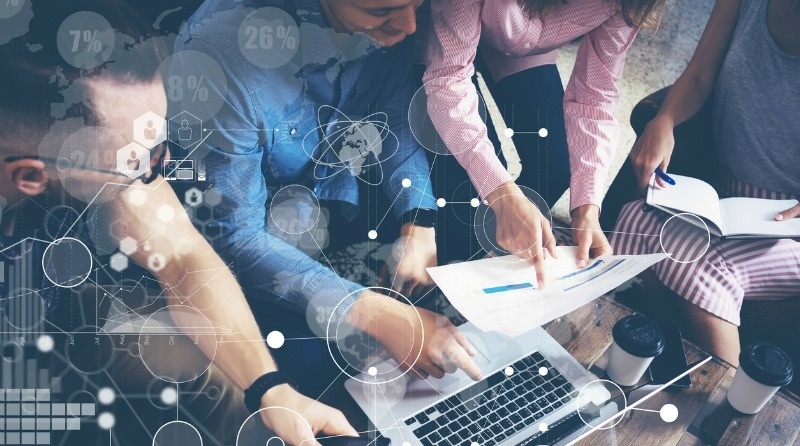 Although data provides the essential framework for your storytelling, foundations often struggle to know if they have the “right” data or metrics for their stories. The question for many becomes, How do we build our capacity to ensure we’re supporting our stories and visualizations with the best data? One way is through the important work of researching what outputs, outcomes, and indicators are appropriate and outlining the relationships that represent your “story of change.” This process can be achieved through developmental and implementation evaluations, which provide a valuable opportunity to build data capacity, and minimize the uncertainty around what data to collect and analyze in the first place. Developmental Evaluations ensure that a program and its story for how change will occur is feasible, appropriate, and acceptable before it is fully implemented. Implementation Evaluations determine whether program activities are accurate and appropriate “in practice” and can be implemented as intended in the specific context. Impact Evaluations assess program effectiveness in achieving its ultimate goals and provide confidence that any effect or impact is the result of the program. The critical takeaway: Impact evaluations should only be conducted after you have developed and implemented an accurate and meaningful framework using developmental and implementation evaluations. 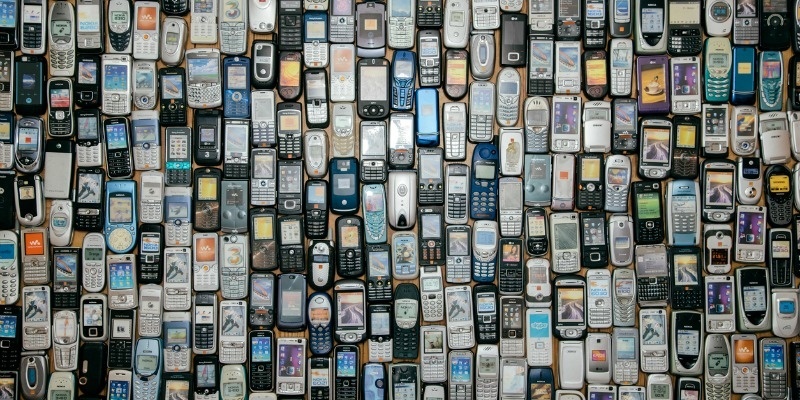 So, how can you be sure you’re collecting the right data? Here are initial steps you can take to grow your capacity for using quality data in your storytelling. Developmental evaluations can be challenging, but they offer a critical chance to sit down as a team and build consensus around your story “framework.” Additionally, this is a chance to discuss and reconcile differences that arise during these discussions and create a shared vision that becomes the basis for your storytelling. Validating your framework to make sure that the components are appropriate is critical. If you bypass developmental and implementation work, you'll have little confidence that the results are attributable solely to your “story” and not some other factor that was not considered. Additionally, all of those beautiful charts, graphs and visualizations displaying your findings may be nothing more than pretty pictures. Through these evaluation processes, you also better understand your colleagues’ work and how it may contribute to your own. Not only does this build organizational capacity by allowing staff to leverage each other’s learnings, but it also ensures that stories and visualizations are created and shared in a way that is meaningful to different audiences. The knowledge and information captured during this work can also be the basis of a knowledge management system. This process helps build organizational capacity by helping you collect and organize data and information that would normally reside in the head of a program or grant officer. It also helps reduce the time and resources needed to locate and access data, which is especially important for foundations that traditionally work in silos or have staff that wear many hats. 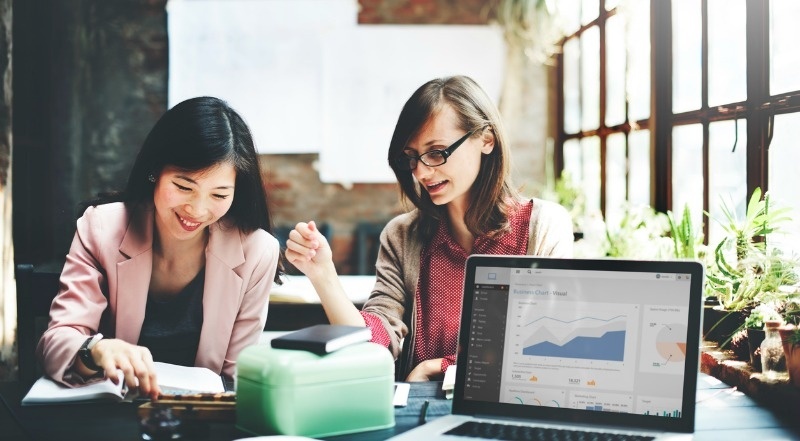 These are just a few examples of how to build your foundation’s ability to identify and use appropriate data in your stories and visualizations. The key is to take the first step. And developmental and implementation evaluations are a great place to start. More and more foundations understand the importance of assessing their impact - but sometimes, that's easier said than done. 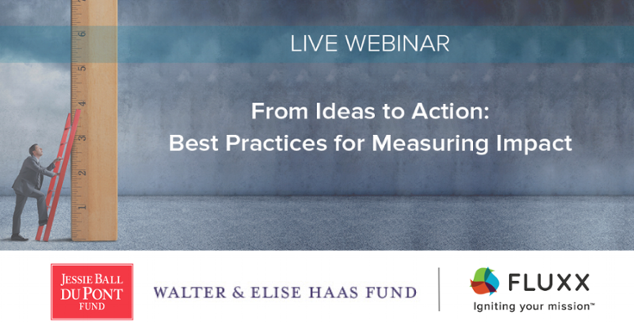 That's why we’re bringing Suki O’Kane from the Walter & Elise Haas Fund and Chris Crothers from the Jessie Ball duPont Fund to share their firsthand experiences from the journey to measuring impact. This is a great opportunity to learn from experts in the field how to tackle evaluation at your foundation. Join us! David Goodman, Ph.D., (@MeasureDoc) is the Director of Impact at Fluxx. David is passionate about finding ways to better use data, metrics, and research to achieve greater impact and sustainability. In his role at Fluxx, David engages with both grantmakers and nonprofits to empower them to use data to turn a single success story into a thousand similar success stories. David brings to Fluxx extensive experience leading and assisting teams in the design, implementation, analysis, and oversight of research and evaluations for the public, private, and nonprofit sectors. David earned a Ph.D. in political science from Rice University in Houston, Texas, and graduated with a B.A. and an M.A. in political science from California State University, Northridge.